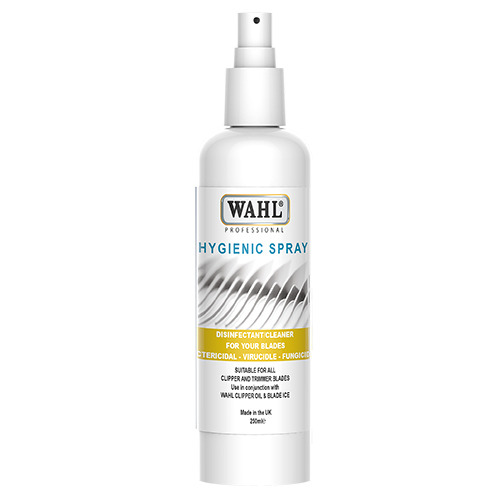 Wahl Hygienic Spray is formulated to reduce the risk of cross infection from your clipper blades. 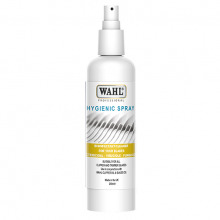 It is for use on clipper & trimmer blades to disinfect and clean. Helps to resist bacteria, virus and fungicide. It is the quick and easy way of keeping all clipper blades clean and fresh. It also contains rust inhibitor, to reduce the risk of corrosion to your blades.